Some people seem to think Luigi belongs in his older brother's squat-bodied shadow. But other people can see past the bright red shirt and heroic facade of the shorter Mario Brother. Those with an open mind can tell that there's more to the story than all that nonsense about color palettes and the other official accounts. And they know that Luigi has a certain appeal that isn't really found in any other Nintendo character! We love people like that, because those of us with pushy older siblings know how it feels to be relegated to player 2 status. And we're guessing that they'll be the biggest fans of your Women's Deluxe Luigi Costume. It's got all the features essential to a classic video game plumber look: overalls with oversize buttons, a colorful shirt, a puffy hat with applique logo, and a hilarious mustache on a stick! But you don't need your brother's permission to put on this suit and go from sidekick to superstar. You don't even need a pal to wear a matching Mario outfit! 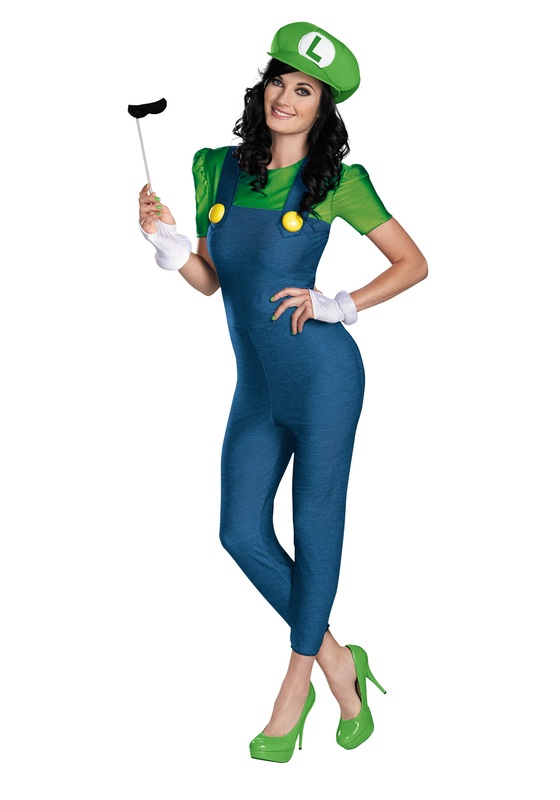 So along with a healthy dose of Mario is Missing and Luigi's Mansion, this costume will finally let you forget what that all those overly-restrictive game menus taught you about which character deserves to be number one. Once you put on this geeky-chic outfit, you get to decide who's bound for mushroom-chomping, Koopa-tossing, Goomba-stomping glory! We're not really supposed to take sides, but isn't there something special about that bright green hat with a letter L on the front?